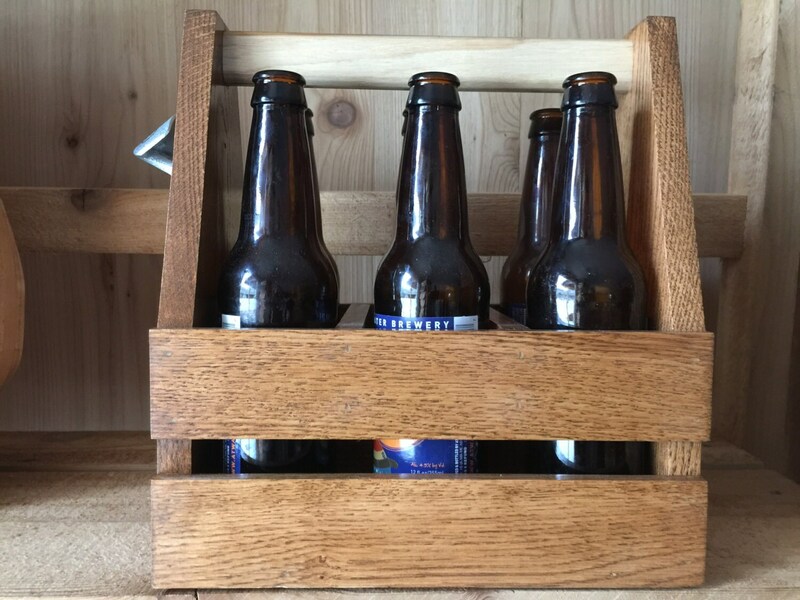 Wooden beer carrier, wonderful gift for dad, best man. Hold 6 beers and has a metal opener on the end panel. 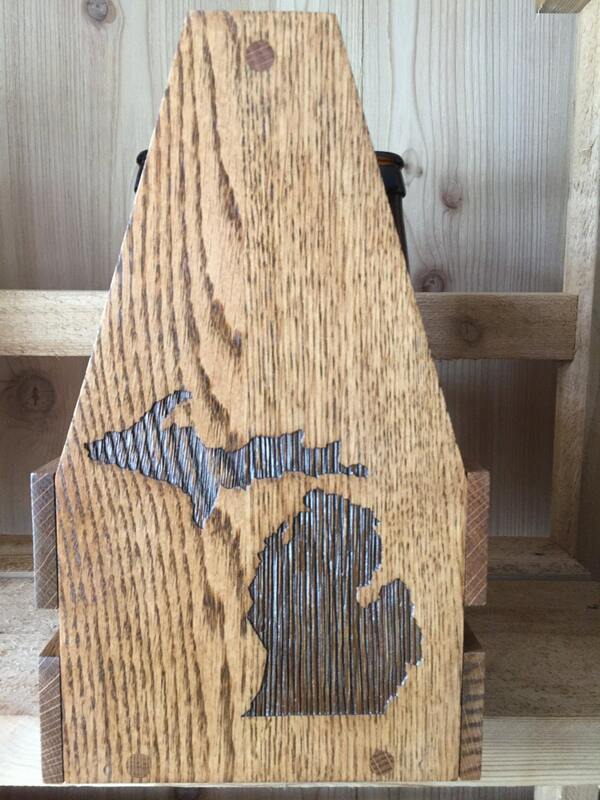 We will send a picture of available openers when this item is ordered. Purchase carrier as shown or end panel can be engraved with a logo, name or custom engraving. 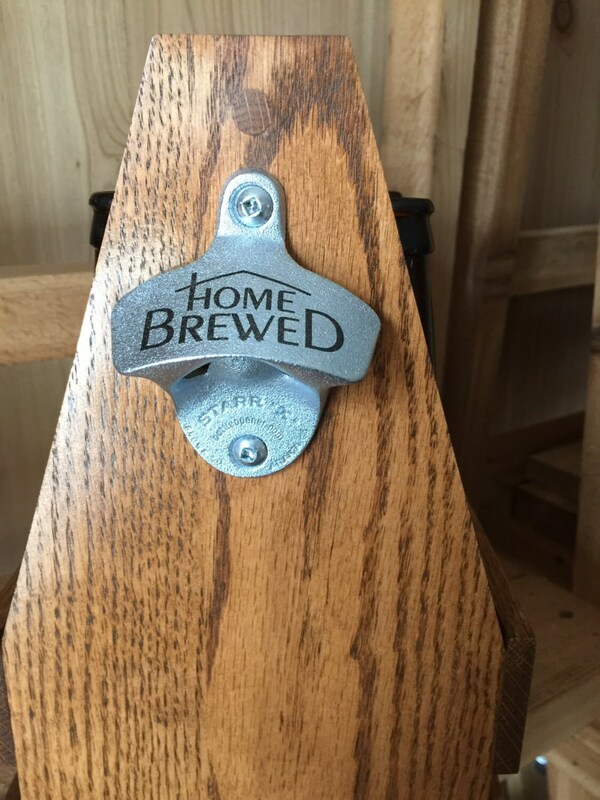 Handcrafted from oak with a hickory handle. 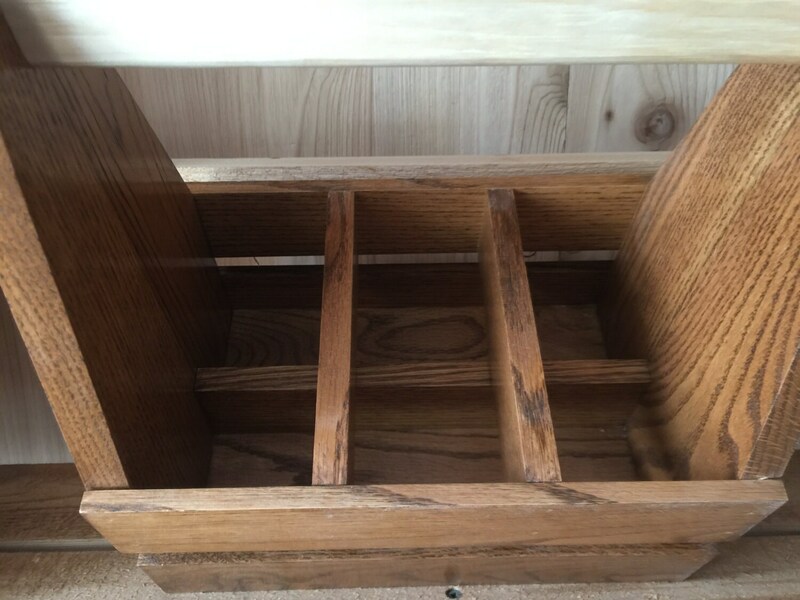 Carrier is stained and a furniture quality conversion varnish finish is applied.